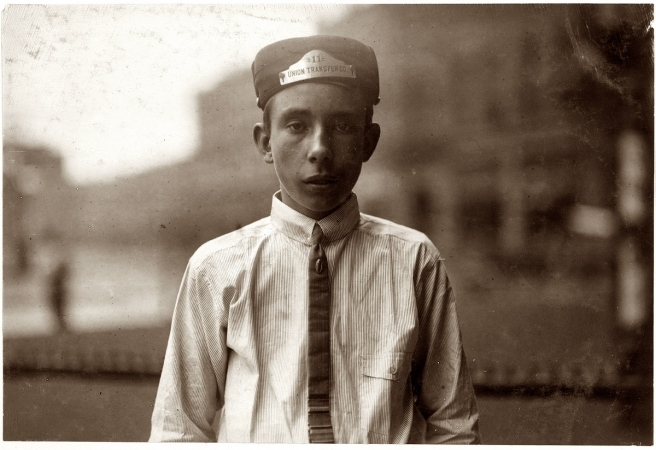 "For nine years this 16-year-old boy has been newsboy and messenger for drug stores and telegraph companies. Says he makes $15 to $18 a week." Photo by Lewis Wickes Hine. November 1913. "Eugene Dalton. Fort Worth, Texas."